3º tempo hoje no treino livre. Tudo pronto para qualificação de amanhã, acho que temos boas hipóteses! Tão bom ter esta equipa espantosa sempre a puxar por mim! Amanhã é dia de qualificação e eles merecem um bom resultado, vamos com tudo!!! 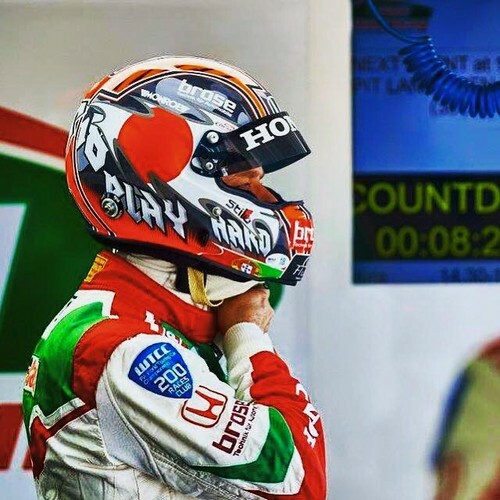 A fantastic 1-2-3 result in Friday testing with home hero Michelisz Norbertheading the session. 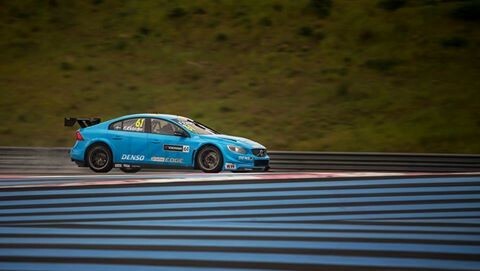 I will start on the second row (P3) in the first FIA WTCC tomorrow thanks to the reversed grid, will be exciting! The qualifying was ok, although I made a mistake on my fast lap. But P3 and P9 is an alright result and the car is working quite well. 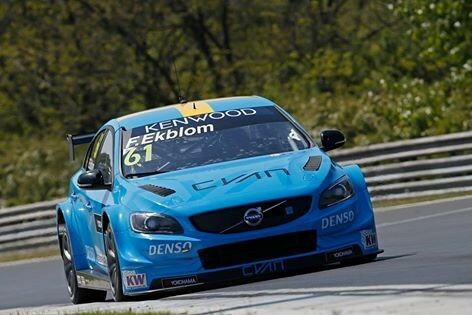 So I was only 600s of a second off Pole position for the opening race of @FIA_WTCC for my 100th race. Frustrating. 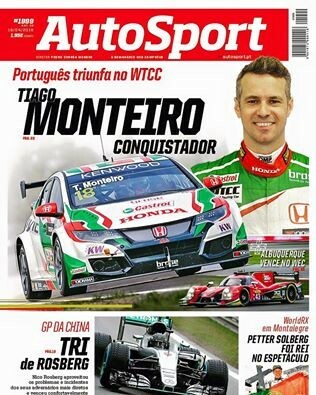 My best FIA WTCC result so far! The track was REALLY slippery and we have almost no data on a wet track. With that in mind, I am very happy with P4 in the first race. 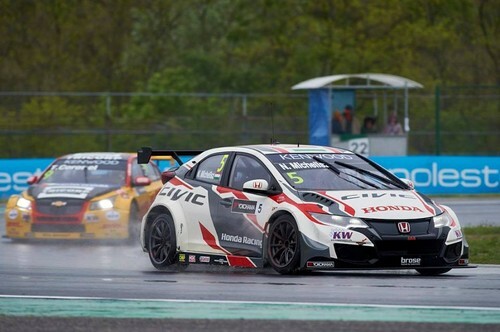 Bring on Race 2, starting at 17:15 CET! 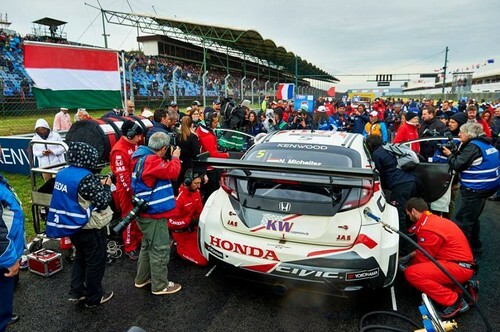 This is the inside story on Rob Huff vs Yvan Muller during the Main Race at theHungaroring, but a word of warning, things get pretty ugly pretty fast. 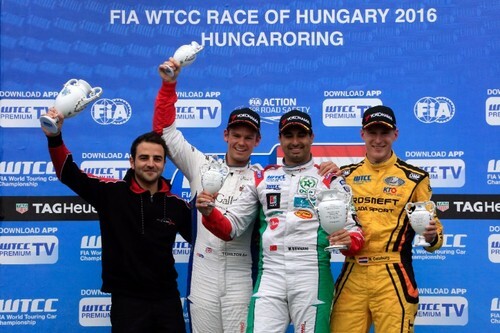 We had a really challenging weekend in Hungary! I'm not pleased with the second race, finishing P11, but I am happy in total with such difficult conditions and our lack of data in the wet. Bring on the next race! 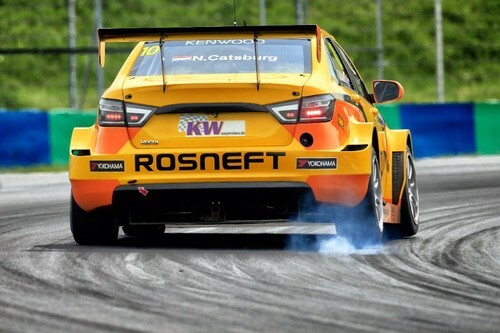 LADA SPORT ROSNEFT took huge strides forward from the start of testing through to qualifying for the FIA World Touring Car Championship (WTCC) Race of Hungary at the scenic Hungaroring (23 April). 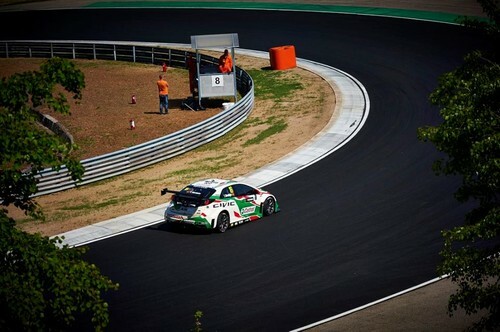 Testing on Friday (22 April) presented a number of challenges; LADA SPORT’s setup was far from optimised and the team subsequently found itself outside of the TOP-5 places. 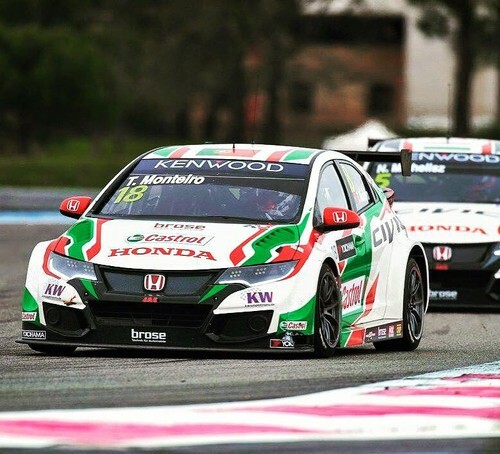 However, the Russian team attacked the problem with a broad sweep of overnight setup changes, primarily based on feedback and insight from Italian touring car veteran Gabriele Tarquini. 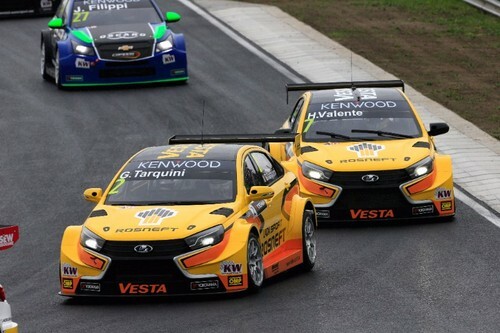 The impact of the adjustments was profound and a feeling of surprise and delight was shared by all three LADA SPORT drivers – Tarquini, Nick Catsburg and Hugo Valente – following FP1 on Saturday morning, as the 30-minute session revealed that the Vesta TC1 had been transformed back into a real contender. 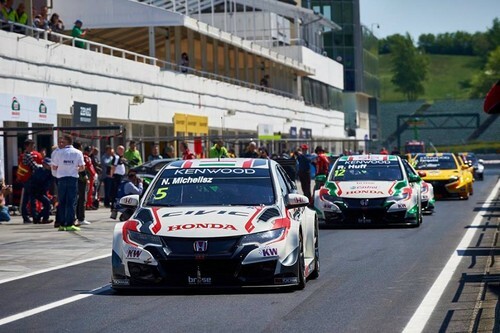 Drivers enjoyed the extra speed afforded by the Hungaroring’s freshly laid asphalt. 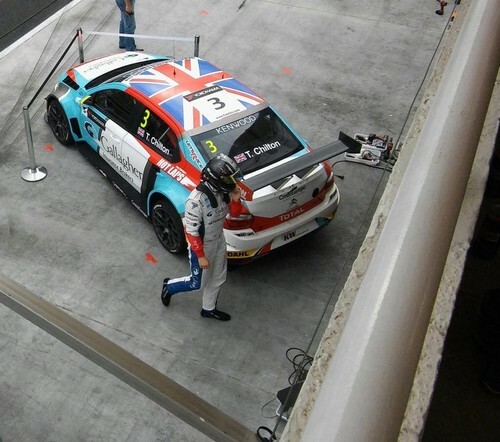 Several times were deleted as competitors repeatedly tested track limits, but Tarquini successfully propelled himself to the top of the timing screens with a best time of 1m47.929s, and an even quicker lap of 1m47.559s was good enough for P2 at the end of the second free practice session. 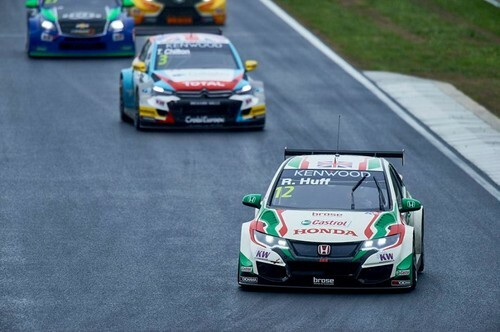 There was still a lot for Tarquini, Catsburg and Valente to learn about the car at the Hungaroring, but confidence continued to grow as it became clear that the ever-improving Vesta had more to give. 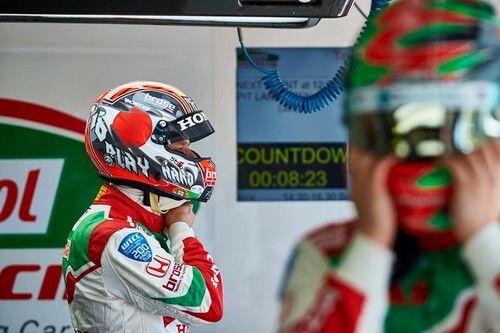 An intoxicating party atmosphere descended upon the picturesque Hungarian circuit, loud chants reverberating from the packed grandstands during the build-up to the all-important qualifying session, and there was hope that the celebrations would carry over into the LADA SPORT pit garages at the end of the day. 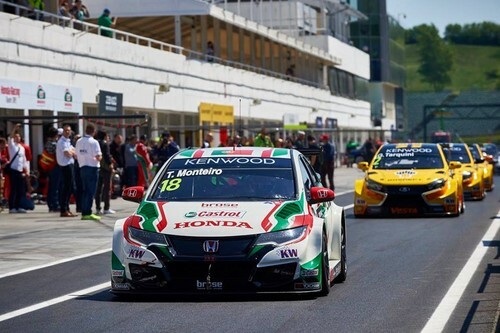 In Q1, Tarquini shot up to P2 with a last-ditch 1m46.633s and Catsburg strung together purple and personal best sectors to go seventh fastest, with Frenchman Hugo Valente narrowly missing out on a place in the second part of qualifying in 13th. Two LADA Vestas graduated to Q2, but, unfortunately, cooling ambient temperatures had a negative effect on the cars’ performance and they would go no further in the session, Catsburg leading the charge in seventh and Tarquini unable to replicate his earlier pace in 12th. 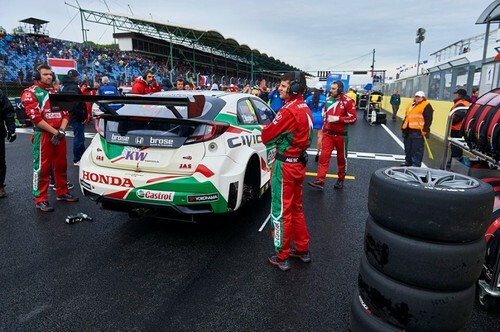 Rounds 5 and 6 of the 2016 FIA World Touring Car Championship (WTCC) at the Hungaroring will be held at 14.15 and 17.15 CET respectively, and both races will be broadcast live on Eurosport. 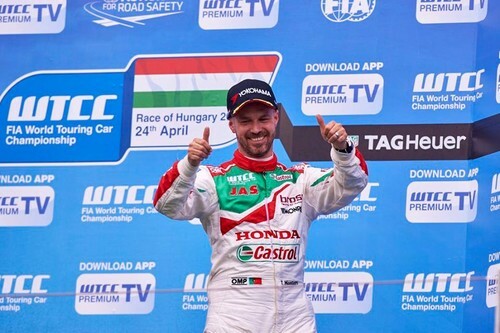 Another sensational podium finish for Nick Catsburg was the highlight of a mixed day in the FIA World Touring Car Championship (WTCC) Race of Hungary at a wet and wild Hungaroring (Sunday 24 April). 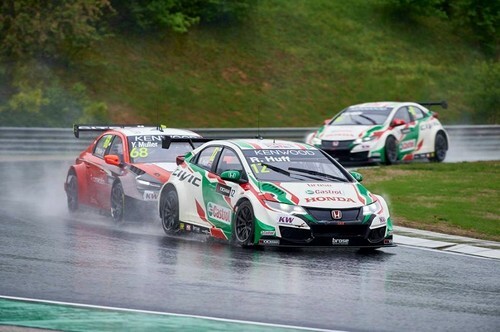 Forecasted heavy rainfall saturated the circuit on Sunday morning, but this wasn’t enough to dampen the spirits of the tenths of thousands Hungarian fans who braved the inclement conditions to support the WTCC on its annual visit to Budapest. 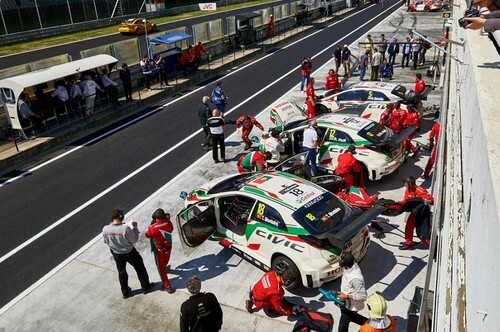 The stands and paddock were chockfull of LADA enthusiasts, who welcomed the Russian marque back to the Hungarian market in January and are keenly awaiting the Vesta’s arrival in the third quarter of 2016. 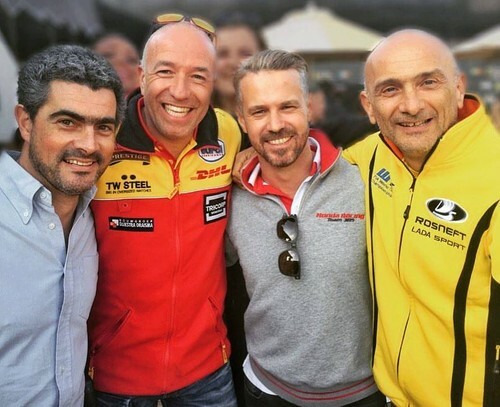 This passion for the brand was felt by everybody concerned with the team, including its drivers, Catsburg, Gabriele Tarquini and Hugo Valente, and the rising fervour within the stands as the rain turned to drizzle during the build-up to the day’s Opening Race was appreciated by all. The change in conditions made tyre choice a complete lottery and there was a real difference of opinion; there were those who stuck with grooved wet weather tyres, others who opted for slicks all-round and some who chose dry fronts and wet rears. Catsburg on row two of the reversed grid and Valente in P12 were both adamant that wets were the way forward, while Tarquini initially mixed and matched before exchanging his slick fronts for wets at the end of the second formation lap. 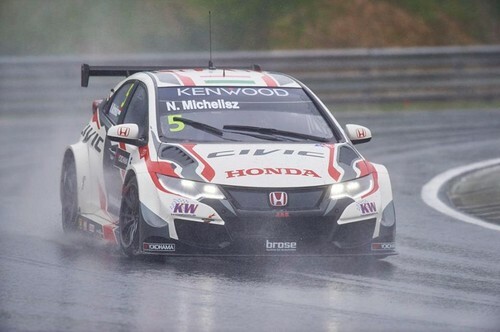 The demise of home hero Norbert Michelisz prior to the rolling start gave Catsburg some light relief and the Dutchman was soon up into the podium places and bearing down on Fredrik Ekblom in second. The runner-up position was his when he got the overlap on the blue Volvo through the final turn and planted his LADA Vesta on the inside on the drag along the start/finish straight, although he would slip back to third later in the race. Valente was the biggest mover during the opening laps, the Frenchman quickly disposing of the slick-shod runners and emerging from successive high-intensity tussles in fifth. 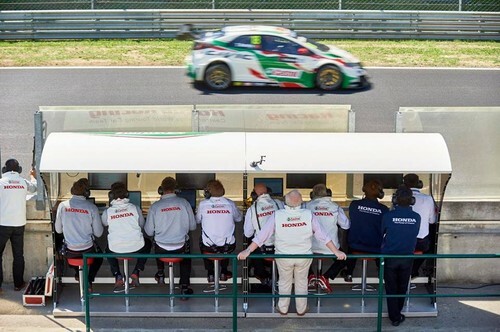 Tarquini, meanwhile, as in a class of one. 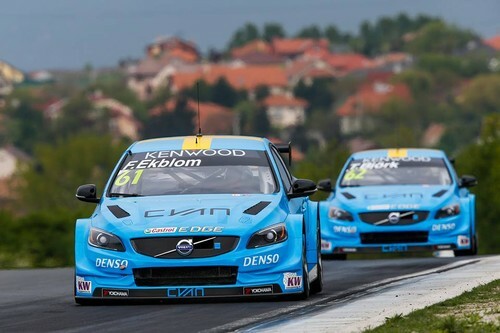 The Italian veteran started by negating the time lost in the pits and his pace was such that he switched places with teammate Valente in order to go in pursuit of fourth-placed Ekblom, some ten seconds up the road. Lapping considerably quicker than those around him, the gap between Ekblom and Tarquini stood at only six tenths at the flag and fifth was a welcome result in hugely challenging conditions, especially with Valente shadowing him in a highly respectable sixth and Catsburg sensationally rounding out the podium in third. 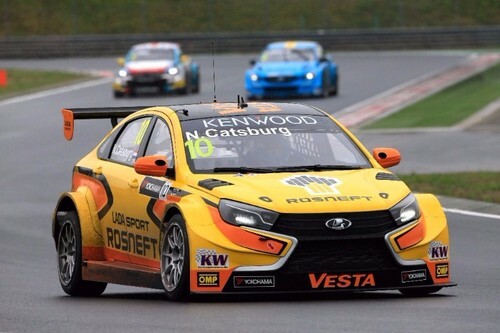 Conditions for the Main Race were no better and the LADA SPORT ROSNEFT team struggled to keep pace. 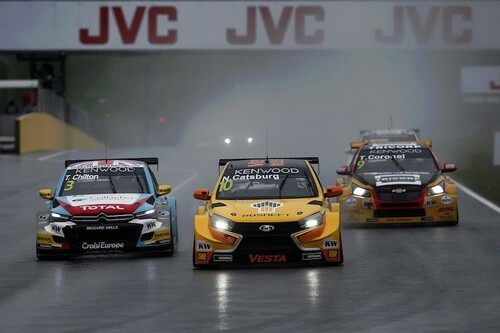 Tarquini made headway before coming off worst in a collision with Thed Bjork, while Valente collected points for ninth and Catsburg finished 13th after being slapped with a harsh and unwarranted drive-through penalty for a minor track limits infringement. 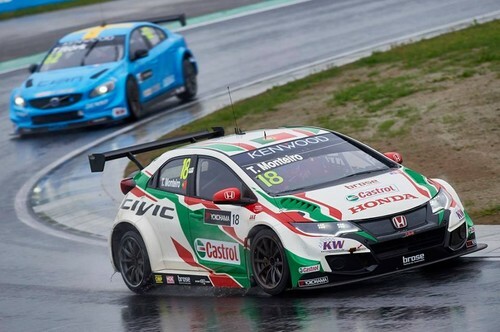 FIA WTCC Race of Hungary podium finisher Nicky Catsburg says driving on ice would have been preferable to the conditions he countered during his run to third place in the Opening Race at the Hungaroring yesterday. 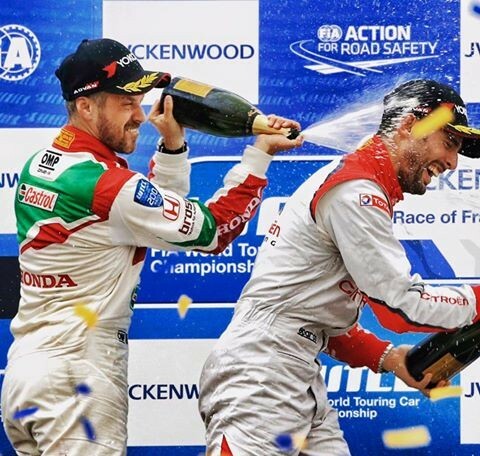 While Mehdi Bennani was untouchable out front, Catsburg was holding second until Tom Chilton got ahead in the closing stages. “Tom was definitely faster but normally I would have kept the position if I didn’t make so much mistakes so I’m a bit unhappy about that,” Catsburg added.